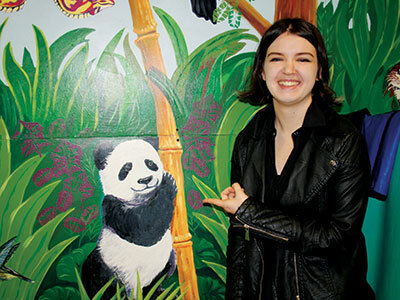 New animal murals now festoon the walls of a hospital’s radiography department to help cheer up children who have to go in for X-rays. 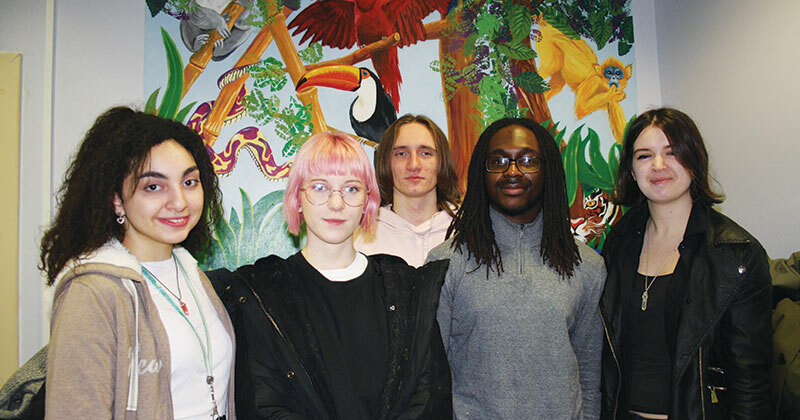 Painted by Barnet and Southgate College’s level three art and design students, the two large murals depicting colourful jungle scenes are on display at Barnet Hospital, and formed part of a work experience module to come up with a creative distraction for patients. The paintings took two weeks to complete, and pupils from nearby Brunswick Park Primary School raised £250 through cake sales and a school tuck shop to pay for paints and other materials.